2U, Inc. Partners With Northwestern's Kellogg School of Management to Deliver New Online Short Courses | 2U, Inc.
LANHAM, Md., Feb. 4, 2019 /PRNewswire/ -- 2U, Inc. (Nasdaq: TWOU), a global leader in education technology, today announced a new partnership with the Kellogg School of Management at Northwestern University to deliver two online short courses. The business-focused short courses will provide executives with in-demand career skills and will be presented in collaboration with GetSmarter™, a brand of 2U. The first course is expected to launch in October 2019. 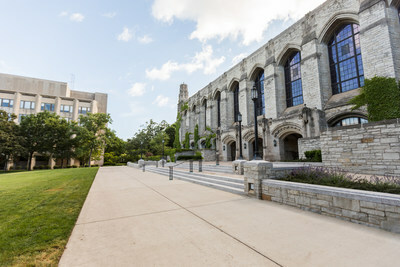 "We are excited to expand 2U's partnership with Northwestern University through our first collaboration with the Kellogg School of Management, one of the world's best business schools," said 2U President of University Partnerships and Services Andrew Hermalyn. "Kellogg is known for its focus on global experiential learning that cuts across geographic boundaries and cultures. This mission and their commitment to student outcomes made Kellogg an ideal partner for 2U." 2U currently partners with Northwestern University to power Counseling@Northwestern, an online Master of Arts in Counseling degree program. Eliminating the back row in higher education is more than just a metaphor, it's our mission. For more than a decade, 2U, Inc., a global leader in education technology, has been improving lives by powering world-class digital education. As a trusted partner and brand steward of great universities, we build, deliver, and support online graduate programs and certificates for working adults. Our industry-leading short courses, offered by GetSmarter, are designed to equip lifelong learners with in-demand career skills. To learn more, visit 2U.com. #NoBackRow.